It probably won't draw anywhere near the same fervor as the Women's Soccer NCAA playoff game at 9 AM Friday in the Buckley Center, but the Pilots Athletic Department is also planning on streaming the NCAA Men’s Cross Country Championships in the Hall of Fame Room, located in the Chiles Center, on Saturday at 9:00 AM. Pilots 7th, tied for their all time best place at Nationals!! NOICE!!! Scott Fauble 13th! Way to deliver on the big stage! A terrific showing by the Pilots....and UP has many of the top runners back for next season. Individual first place goes to Eddie Cheserek......can't blame him for picking UO over UP I guess, but just think of what could have been. Once again it's noteworthy that three of the top four teams are from "altitude" schools.....we should be thankful UP's top runner, Scott Fauble, decided to leave Golden, Colorado for Portland. Oregon. Always stealing our talent away. Glad some of these young men know what's best for them! 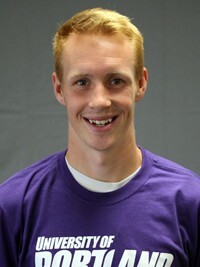 DoubleDipper wrote: we should be thankful UP's top runner, Scott Fauble, decided to leave Golden, Colorado for Portland. Great little town. Home of my drinking game beer of choice, Coors Light. Although now it's Bent Gate Mountaineering that takes my entertainment cash. I'm not sure that actually qualifies as beer. Maksim Korolev. Heard a rumor on LRC he's considering UP for his last year of eligibility. That would be a huge get. pilotram wrote: Maksim Korolev. Heard a rumor on LRC he's considering UP for his last year of eligibility. That would be a huge get. His Harvard bio doesn't seem to give him another year. pilotram wrote: His Harvard bio doesn't seem to give him another year. Korolev was injured during the 2011 season, and ran in maybe two races before shutting down. He could easily get a medical redshirt for that year. But per league rules, Harvard cannot have him compete next year. So, he will be forced to transfer, but he can use the "grad school rule" to become immediately eligible.